Learn how CBD will help you rise to your goals. How Will CBD HELP ME? Cannabidiol, or CBD, is one of over 100 cannabinoids (a group of compounds) extracted from the flowers and leaves of the hemp plant. Known for its powerful, all-natural, therapeutic effects, CBD oil promotes both wellness and recovery. The Endocannabinoid System (ECS) exists within our bodies, producing enzymes (endocannabinoids) that interact with a large network of receptors that run throughout our nervous system. These enzymes send messages to cells, working together to regulate stress, inflammation responses, cognitive functions, and even eating and sleeping patterns. CBD, a phytocannabinoid (meaning it comes from a plant), assists and supports these processes by supplementing the body’s own endocannabinoids to help our internal systems achieve homeostasis, or balance. The Endocannabinoid System is responsible for creating the euphoric “runner’s high” associated with exercise. It gives you the power to keep going when you need it the most. Our products will never get you high, nor will they alter your perception. They were specifically formulated to naturally empower your progress, enabling you to rise to your full potential. CBD is an incredible and underutilized resource for athletes, fitness enthusiasts, or individuals looking to improve overall wellness. By working in tandem with the body’s internal systems, CBD restores balance, removing painful barriers that can keep us from the activities we love. Advances Fitness Recovery, Reduces Inflammation, Encourages Better Sleep, Drives Energy and Focus, Alleviates Stress, Relieves Chronic Joint & Muscle Pain, Relaxes Muscles, Promotes Healthy Weight, Reduces Anxiety & Depression, Resolves Skin Conditions (such as acne), Eases Digestive Issues, Reduces Menstrual Discomfort, Combats Migraines, and Aids in Overall Health & Wellness. At Resilience, we use organic, GMO-Free hemp — meaning absolutely NO pesticides, heavy metals, herbicides, or harsh chemicals can be found in any of our products. Every ingredient is carefully and thoughtfully selected to optimally benefit your health and wellness journey. Cannabidiol or CBD, holds the key to tremendous medical and therapeutic effects produced by the hemp plant. CBD is one of over 100 plant-derived compounds, known as cannabinoids, that can be extracted from hemp. Known for its natural healing abilities, the extracted CBD oil can be used as a supplement, working alongside the body’s natural Endocannabinoid System to help reach and maintain health and wellness. One of the most crucially important qualities of CBD is that is non-psychoactive. CBD does not produce any kind of high or altered perception that is associated with THC from cannabis marijuana plants. Discovered in 1992, the Endocannabinoid System (ECS) exists within our bodies producing enzymes (endocannabinoids) that interact with a large network of cannabinoid receptors (CB1 & CB2) found throughout the nervous system. The Endocannabinoid System is located everywhere in the body, but works in highest concentration within the brain and the immune system. Its job is to send messages to cells, working in concert to regulate stress, inflammation responses, cognitive functions, and even eating and sleeping patterns. While the Endocannabinoid System operates differently in specific parts of the body, the end goal is homeostasis, or internal balance. CBD partners with your body to achieve wellness through finding this balance. While every state has its own specific laws regarding CBD, hemp-derived CBD is legal in all 50 states. You also do not need a medical card or prescription in order to use or purchase CBD products. However, marijuana-derived CBD does not have the same status. Since it comes from a THC-rich plant, (unlike hemp), marijuana-derived CBD, even when in isolate form, is still a byproduct of marijuana and considered accordingly. Some states consider it legal, some illegal, and others have various restrictions. Resilience only uses hemp-derived CBD for its quality, purity and non-psychoactive properties, as well as out of respect for the law. Hemp and marijuana exist in the same plant species, Cannabis, but the two have very different genetic properties and unique functions. While CBD can be found in both marijuana or hemp, the CBD derived from marijuana contains significantly higher levels of THC (the psychoactive element of cannabis that produces a high), whereas the hemp plant contains only trace amounts. Hemp, by definition, is legal with no more than 0.3% THC, whereas marijuana can have up to 30% of THC and is not legal in most states. This means that marijuana can get you high, but that it would be impossible to do so with hemp due to the extremely low THC levels. The benefits and uses also vary between the two. Marijuana is prominently used recreationally, while hemp is highly regarded for medicinal and therapeutic benefits, from anxiety and stress relief to pain management and inflammation reduction. CBD terpenes are the nutrient, or essential oils responsible for giving plants and flora their specific aromas. From the sweet smell of a lily to the fresh scent of mint, these signature fragrances are all produced by terpenes. The terpenes in hemp not only produce a specific smell, they also contribute to the many genetic differences between hemp and other cannabis plants like marijuana. Essential oils are commonly used for other medicinal benefits like aromatherapy. The Entourage Effect is a result of all the compounds of the hemp plant working in synergy. Think of it this way, the music of a single instrument may be beautiful, but when combined with the rest of the orchestra, a symphony is created. In Full Spectrum CBD, all of the cannabinoids and terpenes join forces to amplify the medicinal and therapeutic benefits of the hemp plant. CBD is much more powerful when it works together with other compounds of the plant. Are there any side effects from taking CBD? 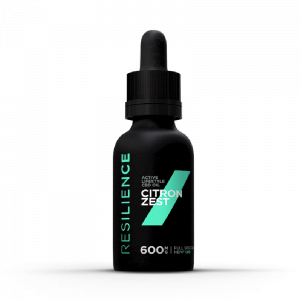 As an all-natural, non-psychoactive product, there are no known side effects from taking Resilience CBD. Are Resilience products intoxicating (will they get me high)? No, none of our products produce a high or alter your perception in any way. Progression without intoxication is our goal. CBD presents a viable option for athletes, fitness enthusiasts, and individuals searching for overall health and wellness. Do Resilience products contain THC? While all of the Resilience Isolate products are 100% THC-free, our Full Spectrum products contain legal trace amounts of THC (less than 0.3%). Because our Full Spectrum products contain whole plant extract, it is impossible to claim that they are THC-free, and this is standard across the CBD industry. Nonetheless, at Resilience we do everything within our power to remove every trace of THC. We third-party lab test every product to ensure that any remaining amounts of THC are so minimal, they are undetectable even by state of the art lab equipment. Where is your CBD made and is it organic? From farm to bottle, our products are made in the United States from 100% all-natural, organic hemp. Each of our products are crafted with non-GMO cultivars, staying free of heavy metals and pesticides, and are third-party lab tested for quality and consistency. What extraction method do you use? We use supercritical C02 extraction. C02 extraction is the most technologically advanced extraction process that maintains a safe and pure product while ensuring minimal impact on the environment as no harsh chemical or solvents are used. Research has shown that CBD is safe, even taken at high doses. There is no toxic reaction in by humans who take CBD. We also use organic, non-GMO hemp, which means that our products are entirely free of pesticides, herbicides, and chemicals. Moreover, our Full Spectrum Oil is extracted using the supercritical CO2 extraction method, which does not involve harsh chemicals or solvents, making it safe for us and the environment. Are your products tested? How do you ensure product quality and consistency? You deserve to know exactly what you are getting. At Resilience, we have made it our mission to be 100% transparent about each of our products. To begin, we only use premium ingredients that must reach our extremely high standards. We third-party lab test every batch of product through an independent party, to ensure accountability, quality, and the purity of our CBD. We also examine the CBD concentration in our products, so you can be positive that every dose from each bottle not only contains perfect consistency, but that our CBD Isolate is 100% THC-free and our Full Spectrum is below the legal limit of 0.3% (making it non-psychoactive). Yes, our oils are Kosher certified. Will your products affect a drug test? Since every individual’s response and use of our products may vary, as will the drug tests and compounds being analyzed, we cannot make any definitive claims or guarantees regarding the use of our products and drug test results. However, as a general rule, topical CBD products like our lotions and creams do not get into the bloodstream and should not show up on a blood test. Likewise, the CBD in our Isolate Oil is separated from other hemp compounds found in the plant, producing a non-psychoactive, 100% THC-free product. Our Full Spectrum Oil is also non-psychoactive, and includes all cannabinoids (like CBG, CBL, CBN) and terpenes found in the hemp plant, as well as trace, legal, and non-intoxicating amounts of THC (less than 0.3%). When all the cannabinoids and terpenes found in the hemp plant are working together, it produces the “entourage effect”, which is widely believed to provide the maximum medicinal benefit. But just as the consumption of poppy seeds may lead to a positive drug test for opiods, consuming our Full Spectrum Oil may lead to a positive drug test for THC, depending on the test, individual, and usage. No, Resilience products are never tested on animals. We believe in health and wellness for all living things. Do your products contain any additives or animal-derived ingredients? All of our products are made with only natural ingredients and are 100% vegan. We use science to create products with active ingredients only no fillers or harmful ingredients allowed. Resilience oils have NO: Sugars, Gluten, or GMOs. How should I store Resilience products? All products should be stored at room temperature in an area that is not exposed to constant light or heat. If you prefer to chill your oil, cream, or lotion, you may store it in the refrigerator without affecting the product. Our products are recommended for adults 18 and over. Can I use your products if I am pregnant or nursing? These products should not be used if you are pregnant or nursing. A Doctor’s advice should be sought before using this and any supplemental dietary product. Can I use your products while taking prescription medication? If you are taking pharmaceutical drugs, please consult your physician before using our products. Can I use your products if I have a medical condition? Where can I find the third-party test results for your CBD? You can find our lab results on our “Lab Results” page found in the Learn section. For more in-depth questions regarding our testing procedures, you can reach out to us directly via our Contact page. What is the difference between Full Spectrum and Isolate CBD oil? As the term suggests, Full Spectrum Oil comes with the full spectrum, or all the cannabinoids and terpenes found within the hemp plant. In addition to CBD, a Full Spectrum Oil contains several other cannabinoids such as CBG, CBN, and CBL, as well as the legal, trace amounts of THC at levels which are non-psychoactive and will not produce any kind of high. When all the cannabinoids and terpenes of the hemp plant are working together, it produces the “entourage effect”, which is widely believed to provide maximum medicinal and therapeutic benefit. When CBD is produced in the Isolate form, the CBD is separated from the other compounds found within the plant. This produces a product with pure CBD content. Because other cannabinoids and terpenes are absent from these types of products, we can also guarantee that they are 100% THC-free. 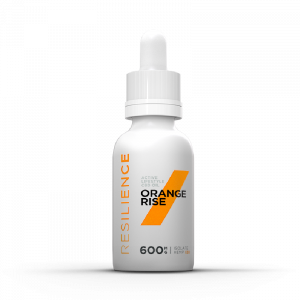 What is the best way for an athlete to use Resilience CBD Oil? Real change comes with consistency. Our CBD oils can be used before workouts to provide clarity, focus and stamina, and after to relieve pain, reduce inflammation, promote relaxation, and encourage better sleep for faster recovery. Shake well. Take 1 mL one to two times daily. For maximum impact, place under tongue for 60 seconds before swallowing. Increase usage as needed. Since everyone is different, you should experiment with what works best for you. We recommend starting low and going slow until you find the right balance for you, and taking it when fits in best with your schedule. As with any other supplement, the right CBD dose will depend on the person, their lifestyle, and their needs. For example, with aspirin, sometimes all you need is 1, and other times, you will take up to 4 within 24 hours. With CBD, we recommend starting with 1mL (one dropper full), 1-2 times a day. We believe that real change comes with consistency and recommend taking CBD daily. Effects can be very subtle at first, but over time you will realize how significant the results are. You may increase usage as needed, just remember to start low, and go slow to find the right balance for you. How should I use the included dropper to administer Resilience CBD Oil? All of our CBD Oil bottles are packaged with an included dropper for easy use. Keeping the dropper clean and free of any bacteria is essential for your health, as well as the longevity and fidelity of the product. If you use the dropper for direct, oral application, take special care to keep it from coming in contact with the interior or exterior of your mouth. If it comes in contact with your mouth, we recommend cleaning it with an alcohol swab to ensure bacteria is not transferred into the bottle. You may also use the dropper to easily add CBD Oil to juices, smoothies or water. What are the ingredients in your Citron Zest Full Spectrum CBD Oil? MCT Oil (Coconut Oil), Hemp-derived CBD Extract, Natural Flavors, Natural Sweetener. Contains: Soy Lecithin. This product is non-psychoactive and contains NO GMOs, Sugar, and Gluten. What are the ingredients in your Orange Rise Isolate CBD Oil? MCT Oil (Coconut Oil), Hemp derived Crystalline CBD, Natural Flavors, Natural Sweetener. Contains: Soy Lecithin. MCT is an acronym for Medium Chain Triglycerides, or Medium Chain Fatty Acids. MCT benefits the body by providing cognitive function and heart health. Derived from coconut oil, MCT is a healthy fat that is colorless and odorless. Because of its liquid form, it is more quickly absorbed by the body than other fats, making it the perfect healthy fat addition to our ingestible oil to aide in clarity and focus. What makes your Sports Cream better than other traditional muscle soothing products? Traditional muscle balms chiefly rely on a cooling or heating agent to increase blood flow to the affected areas. 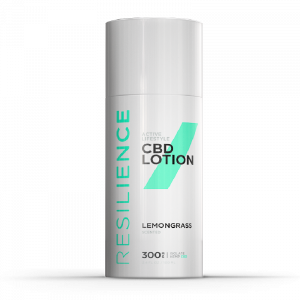 While the Resilience formula also includes a natural cooling and heating agent (menthol and eucalyptus), it introduces CBD, which works as an analgesic and anti-inflammatory, opening circulation and blood flow while relieving pain. Additionally, our formula includes Camphor and Arnica, homeopathic herbs that target swelling and bruising, and Rosemary—which not only adds to the pleasant scent, but also promotes circulation. Meanwhile, Shea Butter, Coconut Oil, and Aloe Vera create a smooth product that readily absorbs into skin to provide nourishment while leaving no residue. And finally, a refreshing blend of mint, eucalyptus and rosemary offer a pleasing aroma. 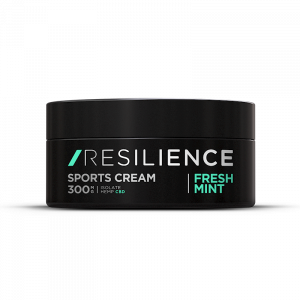 What is the best way for an athlete to use the Resilience Sports Cream or Body Lotion? Real change comes with consistency. Many athletes use the lotion or cream pre-workout to relax and prime muscles or opt to apply it post-workout to prevent or soothe soreness, while others still for simple, daily relaxation. Whenever you choose to use it, these topicals should be applied directly to your skin and massaged into the muscle, joints or affected area where aches, pains, or fatigue occur, or where you feel any tension. However, they should not be applied to broken skin. What are the ingredients in your Fresh Mint CBD Sports Cream? Aqua, Menthol, Methyl Salicylate, Butyrospermum Parkii (Shea) Butter, Cetearyl Glucoside, Cetearyl Alcohol, Cinnamomum Camphora (Camphor) Bark Oil, Glyceryl Stearate Citrate, Eucalyptus Globulus Leaf Oil, Hemp Extract, Organic Aloe Barbadensis (Aloe Vera) Leaf Juice, Tapioca Starch Modified, Glycerin, Caprylic Capric Triglyceride, Xanthan Gum, Organic Rosmarinus Officinalis (Rosemary) Leaf Extract, Organic Arnica Extract, Glyceryl Caprylate, Caprylhydroxamic Acid, Citric Acid. What are the ingredients in your Lemongrass CBD Lotion? Aqua, Butyrospermum Parkii (Shea) Butter, Cetearyl Alcohol (and) Cetearyl Glucoside, Tapioca Starch Modified, Organic Aloe Barbadensis (Aloe Vera) Leaf Juice, Caprylic Capric Triglyceride, Aroma (Lemongrass), Helianthus Annuus (Sunflower) Seed Oil, Organic Argania Spinosa (Argan) Kernel Oil, Organic Cocos Nucifera (Coconut) Oil, Hemp derived CBD extract, Glycerin, Citric Acid, Organic Rosmarinus Officinalis (Rosemary) Leaf Extract, Xanthan Gum, Glyceryl Caprylate, Caprylhydroxamic Acid.